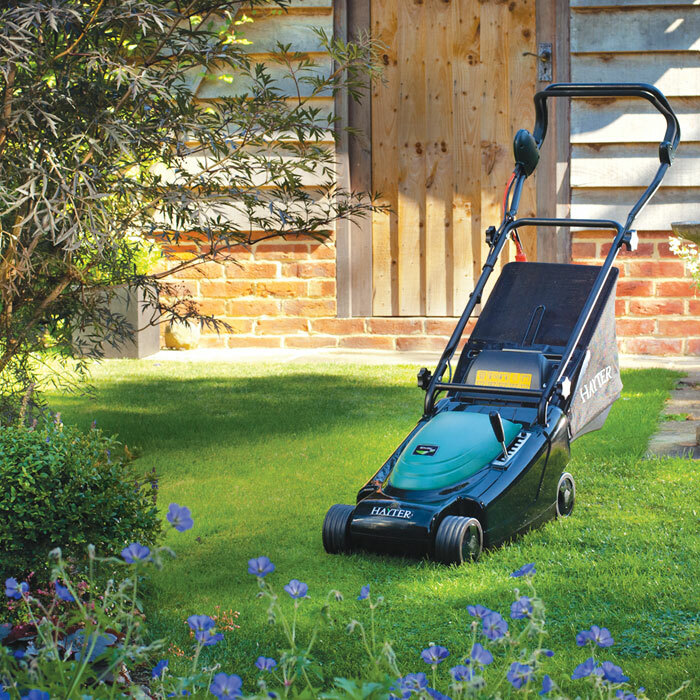 The Hayter Envoy 36 push rear roller mower is ideal for the small garden. It is a high quality product with an impact resistant, lightweight plastic deck for robustness and easy manoeuvrability. It has a 14" (36cm) cut, 1400 watt induction motor for increased power and 7 height of cut adjustments. The Hayter Envoy 36 is fitted with a comfortable full width bail arm which incorporates switch, a full width split rear roller for a striped finish. The Envoy has a smooth under-deck for improved collection and reduced noise. It has a fabric grass bag with hinged flap for easier emptying. The 7 height adjustment is controlled by a single lever and has a range of 13mm to 60 mm. The quality of cut is improved by the front fins and the smooth under-deck. Split Rear Roller, for improved manoeuvrability and striped finish. 38 Litre fabric grassbag with hinged flap for easier emptying. Spring-assisted single lever height of cut adjustment. Handlebars fold within length of machine, reducing storage space. 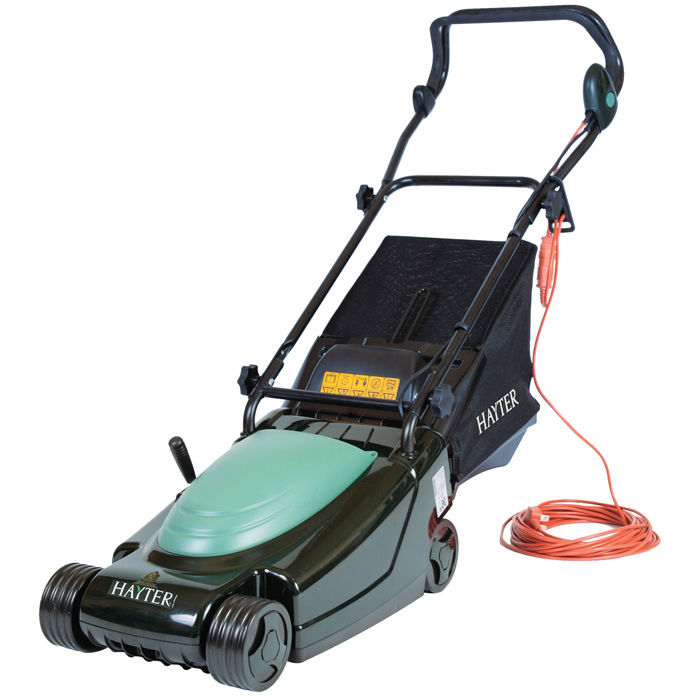 Mains electric powered mower with the legendary Hayter quality. Top specification components for reliability and easy manoeuvrability. Electric motor built by ATB, leaders in modern motor design and manufacturing. 7 height of cut settings between 13 - 60mm, controller by a single counter-balanced lever for easy adjustment. Rollers and wheels fitted with the ball race bearings for smooth operation and long life.